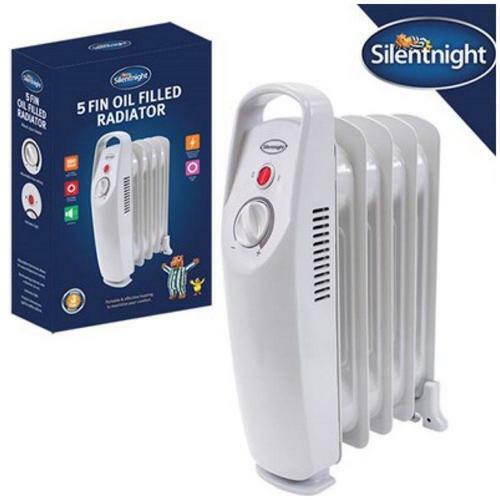 The Silentnight 5 Fin Mini Oil Filled Radiator is compact and low noise,designed to keep you warm in cold, winter days and nights! The mini oil filled radiator is thermostatically controlled, to keep electricity bills to a minimum and to maintain a comfortable temperature of your choice. The automatic overheating cut-out means that the radiator is both safe as well as long lasting. Featuring a built-in carry handle, the mini oil radiator is lightweight and extremely portable, making it perfect to take along with you wherever you need warmth.